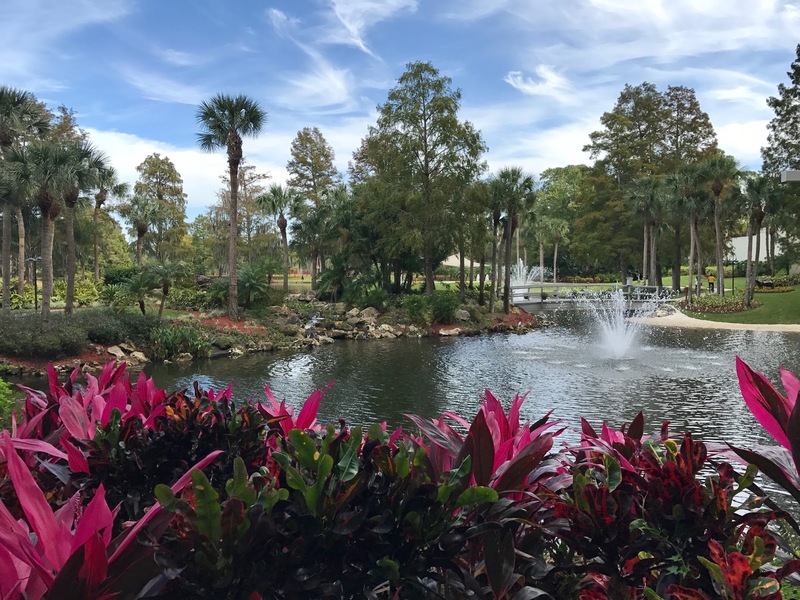 During runDisney Wine Dine Half Marathon, my best friend Keri and I stayed at Hyatt Regency Grand Cypress and had our pre-half marathon dinner at their restaurant LakeHouse which overlooks the properties 21 acre private Lake Windsong. Neither Keri or I are big into heavy carb-loading prior to a race and will typically eat and drink what we normally would put into our bodies on a Saturday night (with the exception of 2 glasses of wine vs a bottle). We started off dinner with bread service which we were quick to joke - ok you can consider this carb-loading! LakeHouse does have a few pastas on their menu for those looking to carb load prior to running and we ordered one of them to split - the Roasted Vegetable Ravioli. It was nice and light and not too filling. The veggies were a big plus for me! We shared a starter and what we thought was a flat bread but was actually a pizza! The starter was a delicious beef carpaccio which we devoured in seconds. I could probably live off of beef carpaccio if able. And our not so flatbread Pizza was a BBQ chicken pizza. It had a ton of flavor and we could have seriously split this and called it a night being we were already full. The entree we split was Steak Frites, a grilled skirt steak served with fries. It was cooked to a perfect medium rare and melted in your mouth. We were too stuffed for dessert and it was getting late. So we called it a night and watched Bad Moms before falling asleep at 10:00 for our 2:30am wake-up call! The following day, we had breakfast at LakeHouse an it blew my mind. 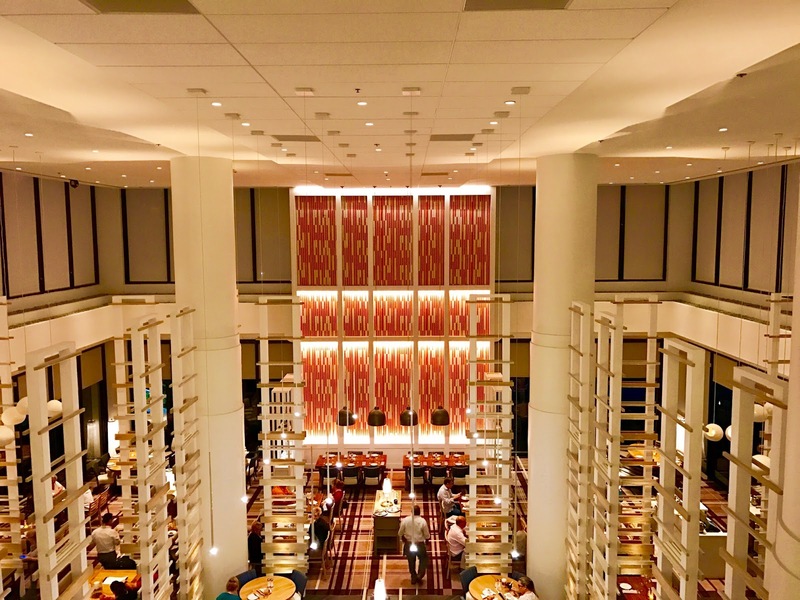 As I stated in my recap of Hyatt Regency Grand Cypress, we had ordered it to go following the Wine Dine Half Marathon so I didn't get any photos but found one online from Visit Orlando. 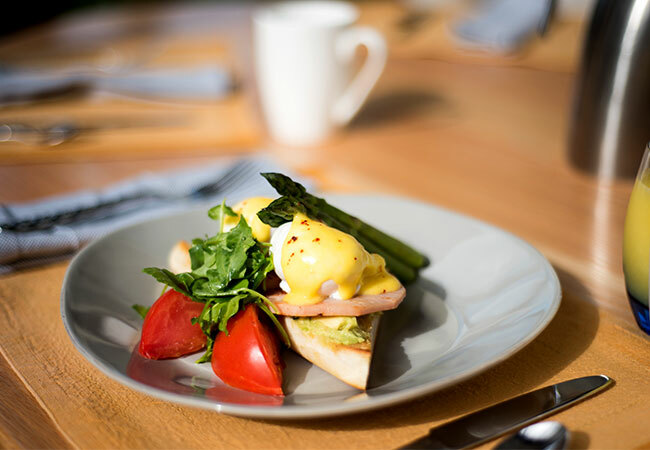 I am still thinking of this breakfast, Avocado Toast topped with two poached eggs, hollandaise, arugula and asparagus. We substituted the Canadian Bacon with regular Bacon. It was devine. While waiting for our breakfast, we stepped outside to see the views offered from LakeHouse (we dined when it was already dark). 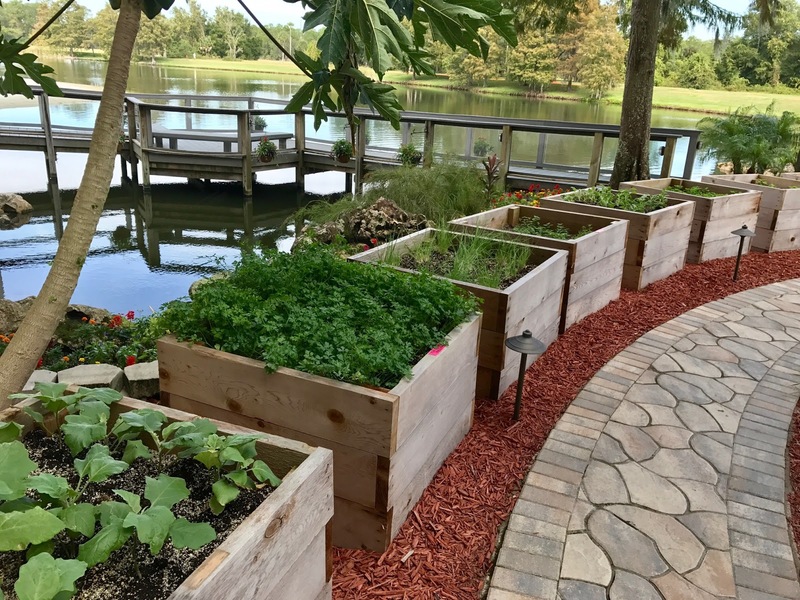 The first thing I noticed aside from the beautiful lake was the fresh herb garden! How awesome is this! I need to see about getting planters like this on the side of my house. The setting of LakeHouse is stunning everywhere you look. It was serine and I could have sat out there all day. We were overall impressed with LakeHouse and I look forward to dining there again!